We at Fox Eye Care Group are committed to providing the highest quality eye care for you and your loved ones. Our caring and experienced optometrists offer personalized and thorough eye health and eye exams, providing the most accurate and comfortable prescription, for eyeglasses and contact lenses. We have an extensive variety of contact lenses in stock, enabling most patients to leave with lenses the same day. 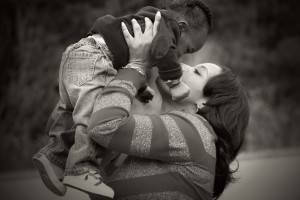 Do you have a child entering school in the fall? All NC kids require a vision screening or eye exam within 180 days of the start of the school year. Our Greensboro optometrist specializes in contact lenses with a huge selection of the latest daily disposables and custom hard-to-fit lenses. I was very pleased with the overall process of getting my appointment completed. First of all, I was a walk-in appointment but they were able to fit me into their schedule. Secondl, the manager was AMAZING! I felt very comfortable from speaking with her about my eye care needs to speaking with Dr. Smith about the fit and comfort of my new contacts. I also had the privilege of getting assistance with purchasing frames today. There is no doubt that this team is solid and works well with each other. Although it normally takes about an hour to get glasses fixed perfectly for customers, I received a text message within 15-20mins notifying me that my glasses were ready for pick up! I can go on and on about how appreciative and happy I am but it is probably noticeable to anyone that is reading this review. Thanks again, Lenscrafters! The provider was prompt and courteous. He answered my questions with candor and professionalism. I highly recommend! The doctor was great, and funny. But there was a long wait. The doctor and staff are very friendly and informative. I will definatlely go back next year. Very friendly staff and doctor. The glasses are high quality and my vision seems very sharp. Order your next pair of contact lenses online. 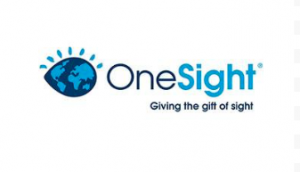 Proud sponsors and participants of OneSight, a non-profit charitable vision care program. What Are the Differences Between Daily, Weekly & Monthly Contact Lenses? How Do I Know When I Need a Comprehensive Eye Exam? Wintertime Dry Eyes Got You Down? The winter causes an increase in cases of dry eye syndrome due to the presence of cold, dry air. You Need to Wear Sunglasses in the Wintertime too! Spend Those Flex Spending Account Dollars Before You Lose Them! 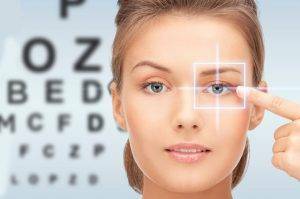 Winston Salem, NC Eye Exams: What Does 20/20 Eyesight Really Mean? Have You Had a Comprehensive Eye Exam Lately? Gas Permeable Lenses: Are You a Candidate? Should You Purchase Your Glasses on the Internet? Looking for an Optometrist in Greensboro? Our eye doctors utilize state of the art equipment to diagnose and treat most eye diseases and disorders. If necessary, our optometrists also work closely with local specialists to help manage your eye health needs. We are open 7 days a week to provide the most convenient hours to meet the eye care needs of your family. 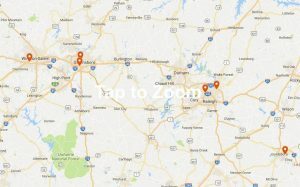 Our offices are located next to Lenscrafters in Greensboro and Winston Salem, N.C. Visit us today!